This will introduce you to Samsung Smart TV, new features, history of Samsung Smart TV, it’s SDK including requirements and about application structure, resolution, types and it’s life cycle. Samsung Smart TV is a platform that integrates both Internet and web features in TVs and set-top boxes, as well as provides a way for technological to combine TVs and other devices like computers, smart phones and tablets. Stay in the hub of your social circle with Smart TV: Smart Hub’s social page lets you to see your friend’s favourite video through Facebook and Twitter, and even allows you to make video calls through Skype. 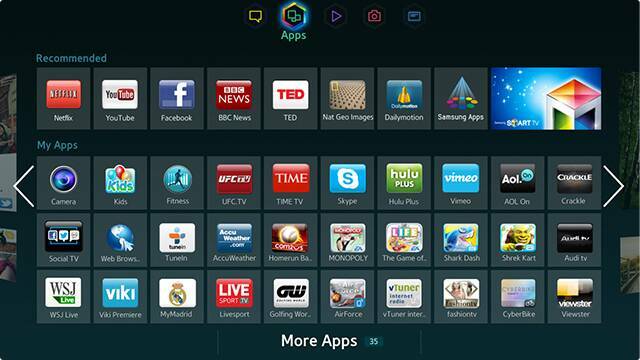 Enjoy access to all of the apps you want: Enjoy all of the apps from a Samsung Smart TV by downloading through Samsung Apps. You will be able to load all of your favourite apps on Apps page. 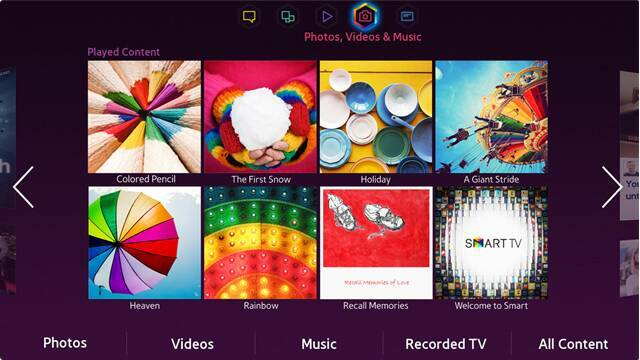 Simply share and enjoy content from various devices: Samsung’s Allshare creates a wireless network through which you can enjoy content from other devices, like a PC or camera. 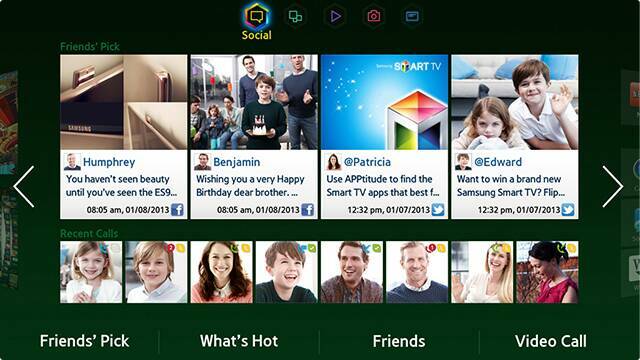 You can easily share content like photos, videos and music, on your Samsung Smart TV. 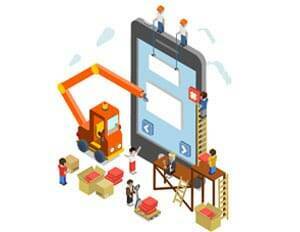 It provides several tools for application development. The following table for minimum requirements for using the SDK. Full-Screen Application: Displayed using an entire TV screen. Single-Wide Application: Displayed using part of a TV screen. A viewer can run this while watching a TV program. Ticker : It also displaying using a part of a TV screen and can run while the viewer is watching a TV program, but it is smaller than a single wide appplication. Samsung provides the tools required to govern your application’s life cycle from product creation, through development and release, to application retirement. 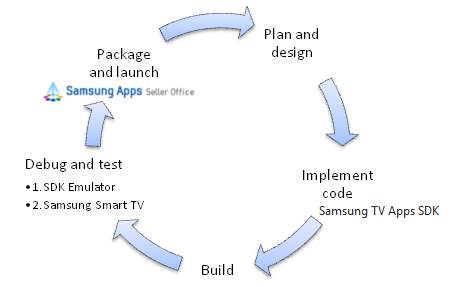 The following diagram demonstrates the process of developing a Smart TV application. Plan and design your application and application UI. Debug and test your application. Package and launch your application. Remove your application from Samsung Apps through the Samsung Apps Seller Office. This article only gives you an introduction part of Samsung Smart TV. There is a lot more to explore in Samsung Smart TV. I’ll try to cover more related information in the subsequent blogs. Thanks for reading. Happy learning! Nice presentation.Thanks for the share! Nice blog. You provide useful information about Samsung the smart tv and it is very useful for me.